POLYODICE is a laminated composite made from glass fibre (23%) and unsaturated polyester resin with good fire reaction properties. The material is presented in the form of sheets or pre-cut strips. It contains no halogen and does not release any toxic gases. 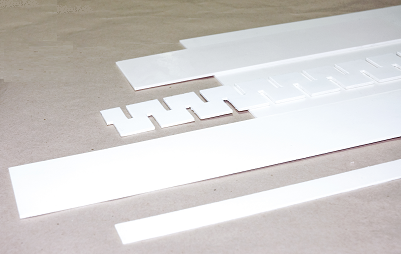 Examples of applications for thermal break sheets & strips POLYODICE: thermal breaks when installing fire retardant and fire resistant doors and partitions.